Traumatized by our car rental experience in Costa Rica, we decided to rely on public transportation in Mexico City. 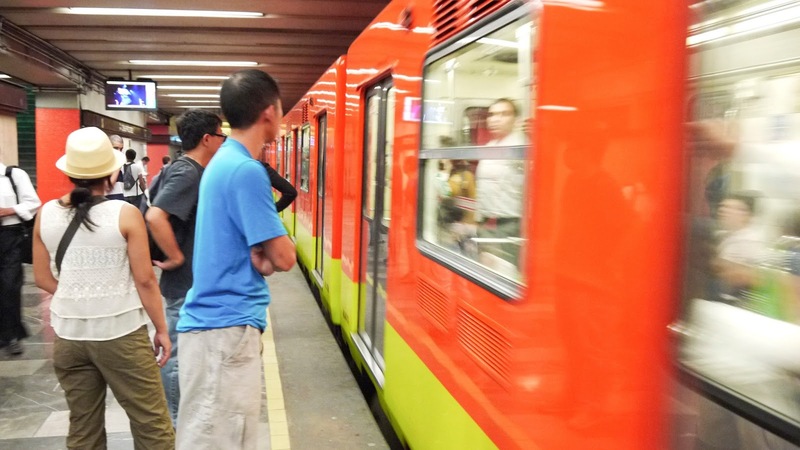 We relied mainly on the metro system during our stay in Mexico City and found it easy to use and extremely affordable. Regardless of the distance, one way ticket on the Metro is 3 pesos, yes, 3 pesos ($0.20 USD) and it goes everywhere! At the metro station, you will have the option of purchasing a metro card, which is 10 extra pesos on top of your single fare or single trip tickets. Frequent commuters often use these cards because tickets are easy to lose and purchasing lines are often long. And if you want to hop on the Tren Ligero to visit Xichimilco, a metro card will be required. 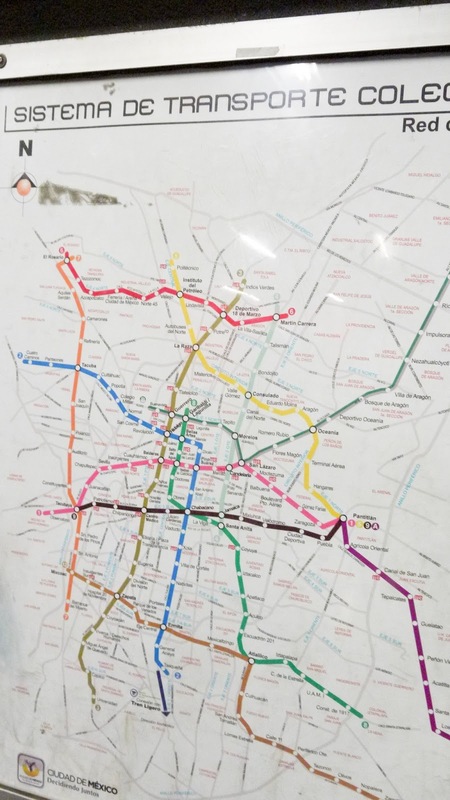 The metro is very user friendly, all the lines are color coded and named after their final destination, making it easy to navigate the stations even if you don’t speak the language. The metro also turned out to be quit an interesting place for people watching. All day long vendors move in and out of the trains selling anything and everything, from mole recipe books to hand held sewing machines to 90s rock music, you name it, it’s available for purchase. Watching these vendors’ salesmanship, or at times, lack of salesmanship became our main source of entertainment during the time we spent riding from one destination to the next. Unfortunately, not all of our metro riding experiences were pleasant. We hit the peak commuting hour on our last day in Mexico City. Even with its efficient schedule, the train could not keep up with the number of people, the rider demand was just too high. Be careful while getting on the train, the doors do not seem to have motion sensors, we saw it close on a man’s briefcase while he tried to cram the rest of his body inside the train. As if getting on the train was not difficult enough already, getting off the crowded train proved to be an equally difficult feat. 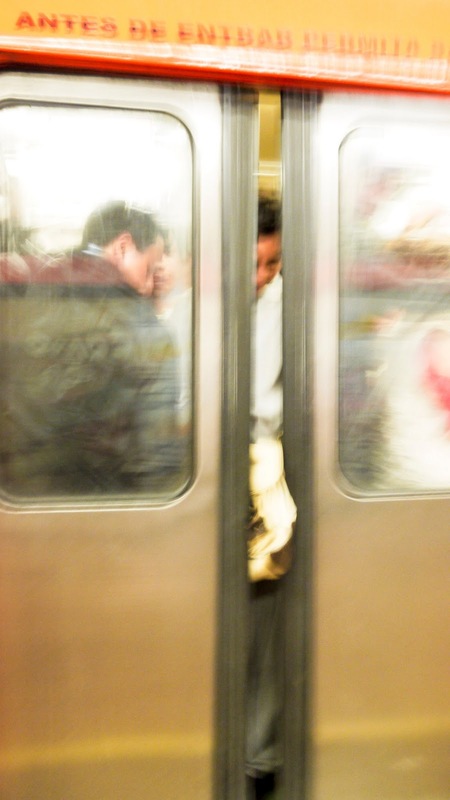 If you are existing one or two stop away, make sure to squeeze/push/shove your way near the train door, failure to do this until the last minute could leave you stranded on a the train for a couple more stops. This poor guy had his suitcase stuck at the door.